Now please leave this poor sick man alone! Another interesting fact about Mr Smith is that his brother is Liam Smith a Labour councillor for neighbouring council at the London Borough of Barking and Dagenham. L Smith was leader of the Council for 5 years and deputy leader for 5 years before that. I really don’t know what to make of it at all. Then there’s this story, which indicates that both brothers are partial to colourful language which they later regret using. mind you this is from a BNP councillor. Oh and Liam Smith started out at a libdem councillor before moving to Labour. this blog goes on to explain that current LBDB leader Darren Rodwell called ousted former leader Liam Smith an “opportunist” who had “failed the electorate”. Smith formerly worked for John Cruddas, MP for the marginal Dagenham and Rainham. Rodwell worked for Margaret Hodge, MP for the safe seat of Barking. I have to say that the Labour politics of Barking and Dagenham looks every bit as cut-throat as anything happening inside UKIP. So whats Nigel Garage excuse ? pissed and has too much money ? If he’s a racist bigot on sedatives, what’s he like after fourteen pints of wife-beater in the pub with Nige? 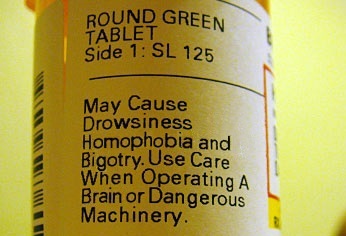 Kerry Smith clearly takes some very peculiar prescription medicines if their side effects include racist and anti-gay ranting. Is this going to become an additional euphemistic explanation for when politicos aren’t really in control of their own actions, like ‘tired and emotional’ for ‘drunk’? @BBB aha the mouth/ trousers dichotomy again ? Bobbie big bollox, that post cracked me up! I’d hate to be in a pub with any of the UKIP shower after 14 pints of Stella. Only a laugh a minute session with Adolf at the berghof could be more loaded with racism and bigotry. Isn’t it great that we finally have a party that deals with the racists homophobes and disability haters that try to join, instead of the old three tired parties that try to cover it all up and unreservedly support them? Fathomie you couldn’t be further from the truth but then you are probably one of the young socialists whose anti UKIP banners were all complaining about labour policies. @barry davies, you do realise that the party is full of people like him? The evidence does somewhat suggest that, given that Farage himself is given to racist outbursts? Not to mention the steady stream of UKIPers who embarrass themselves with their vile utterances. The only difference being that ‘jolly Nige’ is teflon, and besides, if anyone dares to point out he’s being a bigoted fool, the Kippers all come out of their bierkellers to protest at the outrageous treatment of their glorious leader. If he wants to be taken seriously, I would suggest he, and the other members of his party, stop speaking about anything that doesn’t appeal directly to the Neanderthal element, otherwise he might, despite the saturation coverage he is getting by the media, actually lose a few votes. But then with people like you on his side, who believe that despite having to constantly reign in the parties offensive comments, they are not at all extreme, I doubt it. Thanks for comment about being a ‘young Socialist’ btw. Libertarian Free Speech and all that? Well no not on this blog thank you very much , cant have people disagreeing with their paedo panic witch hunt narrative no no all the truth might come out and they dont want that do they ?? ?